So I did some more organizing today! And some decorating of the organzing. Both of these projects were based off of Pinterest pins that I found and loved. Click on the pictures for the full size image so you can see better. Sorry for the bad glare, I took the pics quick and on the dining room table and light was not so great! 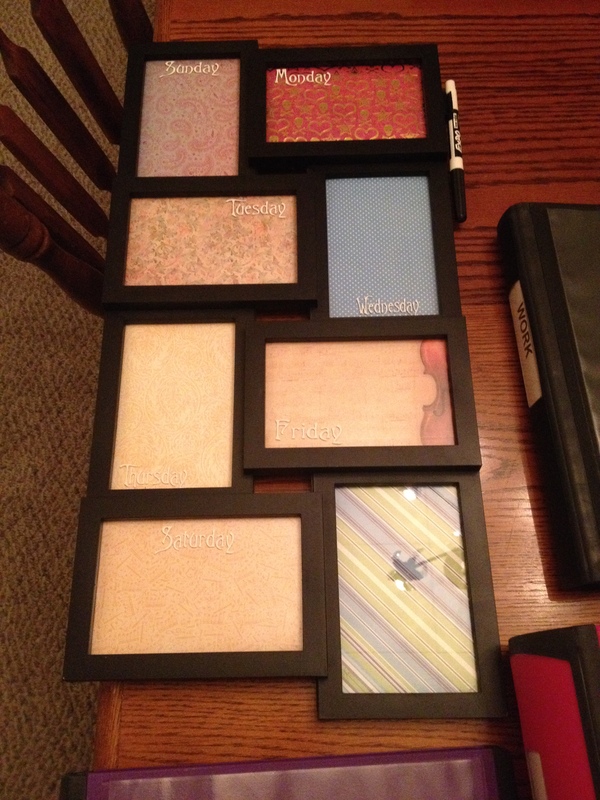 First was a photo frame turned scheduler! 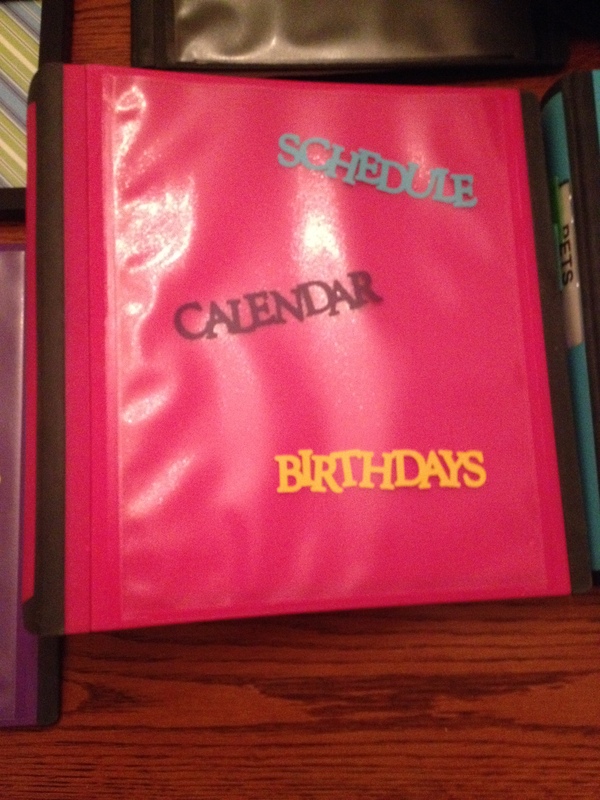 I used scrapbook paper for the background and added some velcro on the side to hold a dry erase pen. I used my Silhouette Cameo to print out the days of the week on vinyl to add to each day. And left one blank for Miscellaneous reminders. 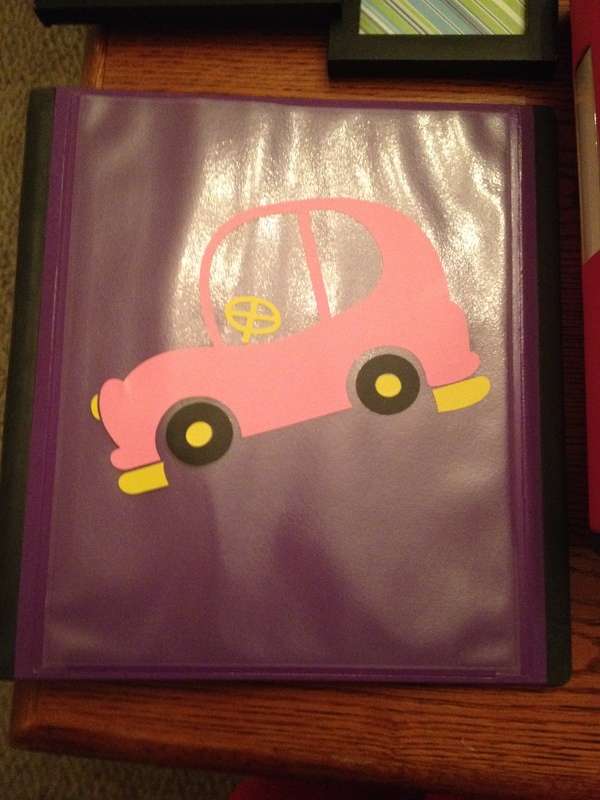 This is my Car Binder. It holds all my car paperwork and has a maintenance log so I can keep track of things. 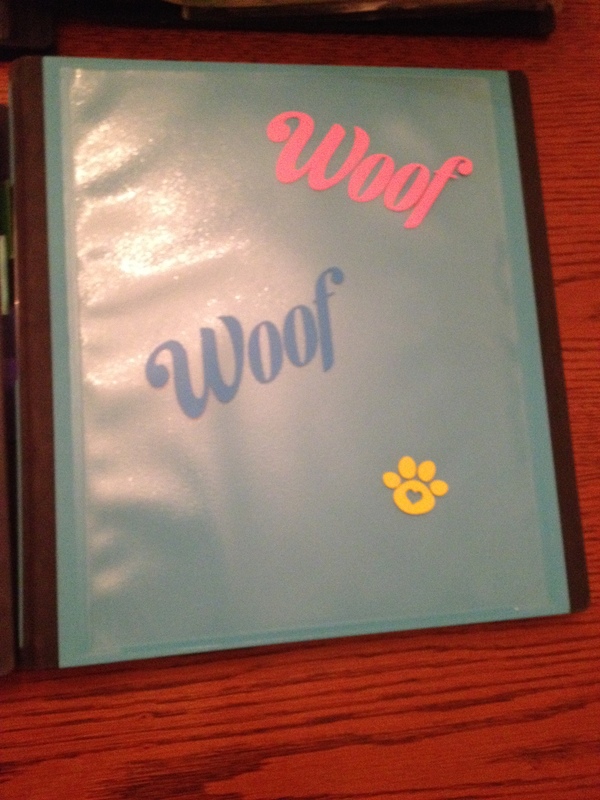 This is my Pets Binder. It holds all the dogs information. All the vet visits, even boarding. I have all the paperwork for them in here. 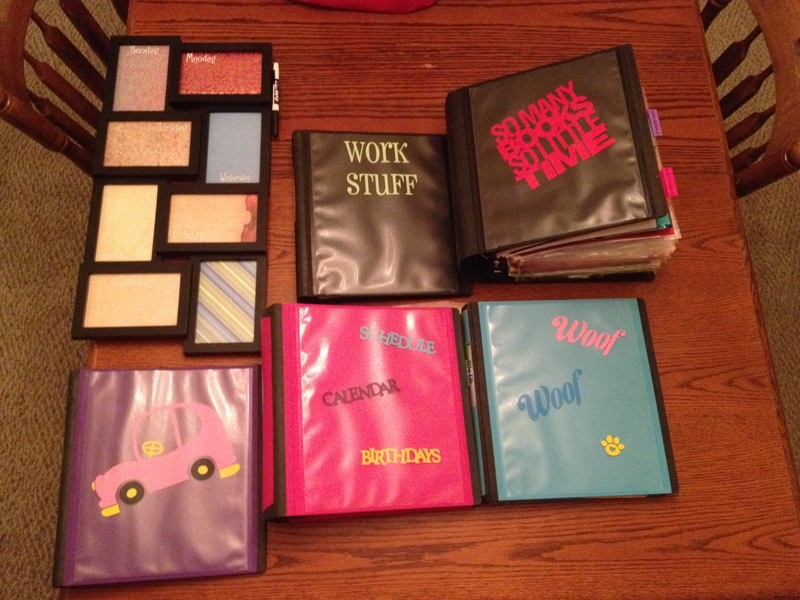 This is my main binder. 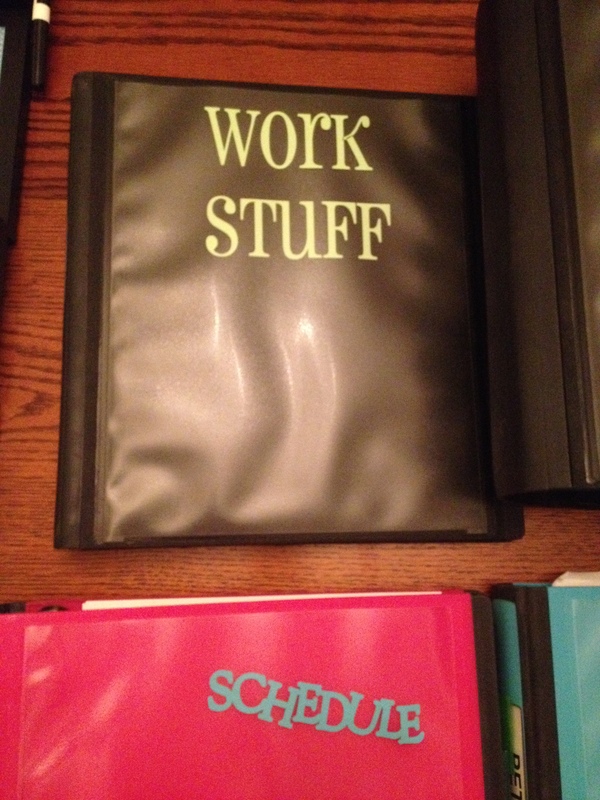 It has my schedule, contacts, weekly cleaning chart and menu planner. This is the one that needs the most attention now! I need to get better at the scheduling and menu planning in order to make my week work smoother. 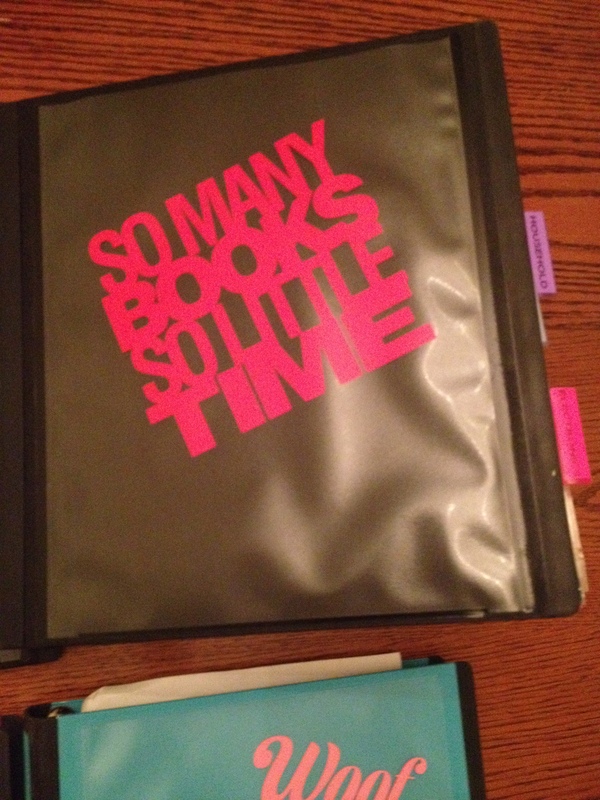 I also decorated the Manuals Binder that I posted the other day. Couldn’t leave it out! Of course the manuals binder is far too big for this shelf so it will have to go somewhere else!! 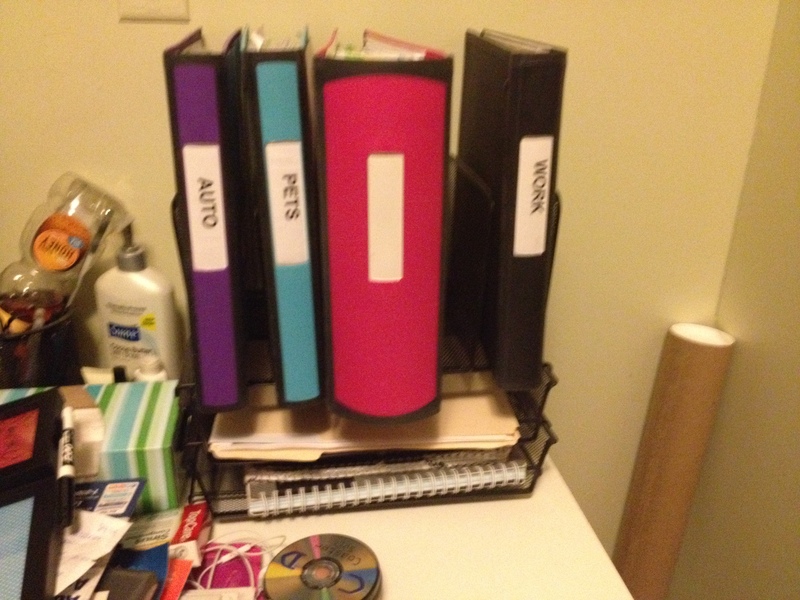 And that’s all the organization I can handle for right now! !